Ever since Amazon said it is considering Long Island City in Brooklyn as one of its choices for its 2nd national headquarters, this densely populated island close to New York City has been abuzz with all sorts of rumors. There can be no two opinions about the fact that if this indeed becomes a reality; it will give a big push to the real estate market in this highly industrialized city where residents enjoy wonderful views of Manhattan. There will be around 25000 employees of Amazon looking for accommodation on Long Island expected to create a mad rush for condos, apartments, and single-family homes. Real estate pundits feel that this impact will also be felt in the inner area of Long Island as there will be a scramble for homes in areas as close as possible to the building where Amazon chooses to set its headquarters. Long Island real estate is already doing rather well. Being so close to the NYC, it is considered a highly desirable place to live and raise one’s family. It is a safe place to live with low crime rates and it also provides opportunities for a vibrant nightlife. Long Island has a diverse population and the presence of some excellent quality public schools makes it perfect for families with school age kids. Median home value on Long Island is $468371 which is a bit on the higher side. But homeowners are also enjoying high median monthly rent of $1584 here. 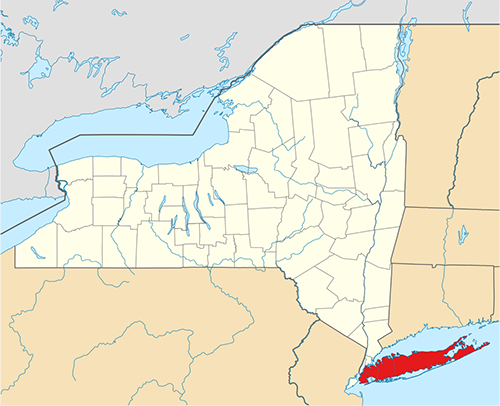 With a median household income of more than $70000 and access to all modern amenities, Long Island enjoys a high degree of popularity among professionals and families. Those who have experienced a boom in the real estate market of Seattle when Amazon was established in 1994 feel it could be a very similar situation in Long Island. These experts say that the boom in Seattle took place when there was no internet and social media. Now with every single detail and information reaching people in all parts of the country, there is no doubt that ripples of this mega event will be felt everywhere and not just in Long Island. In fact, arrival of Amazon in Long Island should prove equally good even for New York. In any case, Amazon’s arrival should have a positive impact on the real estate market in all surrounding places and not just Long Island. Most of the employees of Amazon from Seattle coming over to Long Island will be of a young age. There will be singles as well as families with small kids, giving rise to an increased demand for all sorts of accommodation units. There will also be many new employees recruited from Long Island and the surrounding areas. As such, it is expected that the workforce at the new international headquarter of Amazon will fan out to all parts of Long Island. It is hard to guess the number of older Millennials and families with kids among the employees of Amazon heading to Long Island. But there will be no doubt that many of these employees will be thinking in terms of buying homes in the area. They will be the ones checking out the schools and searching for homes with the help of local real estate agents. All these activities are expected to push the prices of real estate in Long Island in the upward direction. It will be a gradual process and not an overnight phenomenon. So, if you have been planning to buy a home in Long Island for some time, the time to act is now when this price rise has not started yet. According to sources, Amazon has promised to invest close to $2.5 billion dollars in this mega project. The average salary of the 25000 workers that it is planning to move to Long Island will be around $150000 per annum. These figures in themselves are a solid indication of things to come for Long Island real estate. Real estate agents in Long Island are already excited and so are the homeowners who are thinking in terms of selling their properties. There are also many homeowners who were sitting on the fence, undecided whether to put their homes on the market or not. The news of Amazon setting up its 2nd international headquarters on Long Island has given such homeowners a lot of confidence and they have started to talk to their real estate agents on this issue. There are also people who are on the verge of retiring. They are happy and excited with the turn of events as they can now sell their homes at a high asking price and move to smaller homes in Long Island or elsewhere in the country. 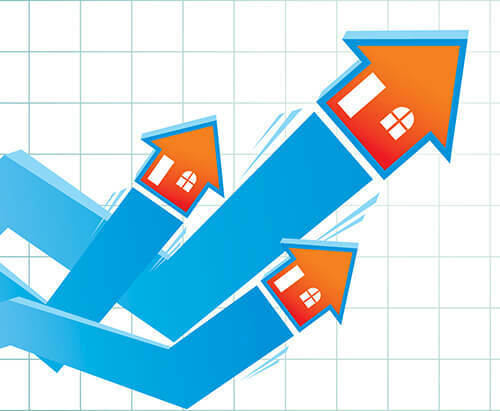 Locals have been experiencing an upward surge in the monthly rentals of apartments and condos. One-bedroom apartments that were easily available in the price range of $1200-$1300 a year ago are now going for $1500 and $1600. Two-bedroom apartments are now fetching close to $2000 whereas they were available for a monthly rent of $1600 last year. 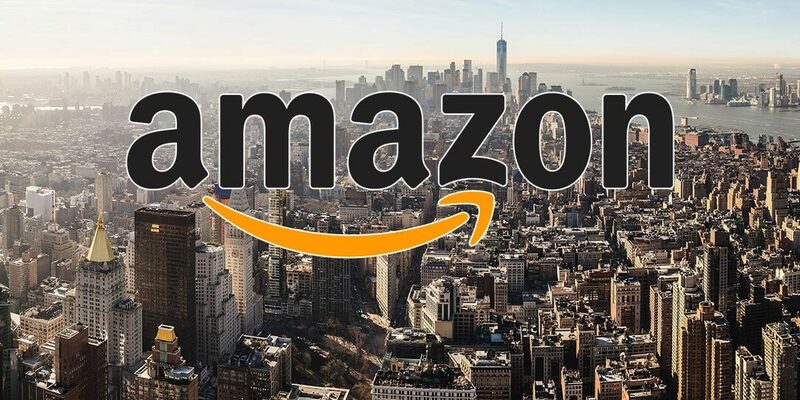 According to latest reports and insiders, Amazon is considering shelving of its plans to set up its second headquarters in Long Island. This is because of the criticism of the company for getting big tax incentives to the tune of billions of dollars from New York government as a favor for bringing more than 25000 jobs to the state. As Amazon has yet not signed any lease deals for office space in Long Island yet, it would be easy for the company to withdraw from the proposed move. Even though homeowners are buoyed with the news of Amazon making its 2nd national headquarters on Long Island, it is going to take a long time before this becomes a reality. There has been no ground-breaking ceremony yet and it will take at least 2 more years for the facility to take concrete shape and become operational. This means that whatever impact this move will be seen in Long Island is still a long time away. That’s why many real estate agents are advising their clients to not hold on to their properties in anticipation of a possible price rise. They are telling these clients to be realistic rather than being over optimistic. There will be certainly a surge in interest in Long Island real estate market, but it is going to be a ripple effect rather than a huge wave of Tsunami. “After much thought and deliberation, we’ve decided not to move forward with our plans to build a headquarters for Amazon in Long Island City, Queens. For Amazon, the commitment to build a new headquarters requires positive, collaborative relationships with state and local elected officials who will be supportive over the long-term. While polls show that 70% of New Yorkers support our plans and investment, a number of state and local politicians have made it clear that they oppose our presence and will not work with us to build the type of relationships that are required to go forward with the project we and many others envisioned in Long Island City. We are disappointed to have reached this conclusion — we love New York, its incomparable dynamism, people, and culture — and particularly the community of Long Island City, where we have gotten to know so many optimistic, forward-leaning community leaders, small business owners, and residents. There are currently over 5,000 Amazon employees in Brooklyn, Manhattan, and Staten Island, and we plan to continue growing these teams. We are deeply grateful to Governor Cuomo, Mayor de Blasio, and their staffs, who so enthusiastically and graciously invited us to build in New York City and supported us during the process. Governor Cuomo and Mayor de Blasio have worked tirelessly on behalf of New Yorkers to encourage local investment and job creation, and we can’t speak positively enough about all their efforts. The steadfast commitment and dedication that these leaders have demonstrated to the communities they represent inspired us from the very beginning and is one of the big reasons our decision was so difficult. We do not intend to re-open the HQ2 search at this time. We will proceed as planned in Northern Virginia and Nashville, and we will continue to hire and grow across our 17 corporate offices and tech hubs in the U.S. and Canada. Maybe Amazon will revisit moving to NYC in the future, or maybe not? Either way, many companies are starting up or moving in the city continuing to make Long Island the place to live.